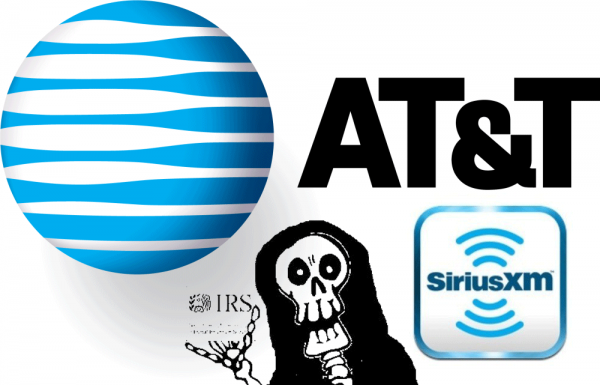 So, to be sure, you can count on a few things – the usuals like Death and Taxes… but there are two others that you can ABSOLUTELY count on: wanting to kill yourself when having any interaction with AT&T OR SiriusXM. There, I said it, and I feel much better! Here’s why I’m feeling the need to rant a bit. I recently purchased a new car stereo for my daughter’s car. It’s a nice little stereo, that does a very nice job with bluetooth and usb support, and so forth. Very good built-in microphone for hands-free calling… just a very good radio. Now that we have this great new radio, it was time for me to call SiriusXM to cancel the account that we had associated with that car. We had a plug-in device, that did a very good job for what it was for, but when you can stream directly off your phone to the stereo, you can listen to whatever you want. Liz prefers listening to Spotify anyways, so no need to keep a monthly payment. First stop was SiriusXM’s website, where I quickly realized that NO you can’t do anything to DELETE or CANCEL your service online. Now, my memory is starting to come back to me from the last time I had to do something with Sirius. It was a fiasco. Took me 45 minutes for them to just switch the receiver id from one that broke, to a new one I replaced it with (oh, and don’t get me started with the $35 activation fee they hit me with – are you KIDDING ME??). Back to my conversation with Sunny (who I was barely unable to understand). He proceeds to tell me that I can’t just turn off the account, but he has to cancel everything out, then I have to recreate a new account for my online streaming (which I’d have to create a new username for) – at which point I laid into him like crazy, because there is NO WAY I should have to hop thru hoops and create new logins and all that for something as simple as removing ONE device that I no longer use from my account. Let’s talk about how he kept trying to talk me out of canceling the device (which I no longer possess), because I might want to keep it for another vehicle. What part of NO don’t you understand???? This call only took 25 minutes, but I finally got him to do what I wanted – although, we’ll see if Eileen’s car still has service and if my internet account still works. My guess: nothing will work and it’ll take me an hour on the phone to get this resolved.